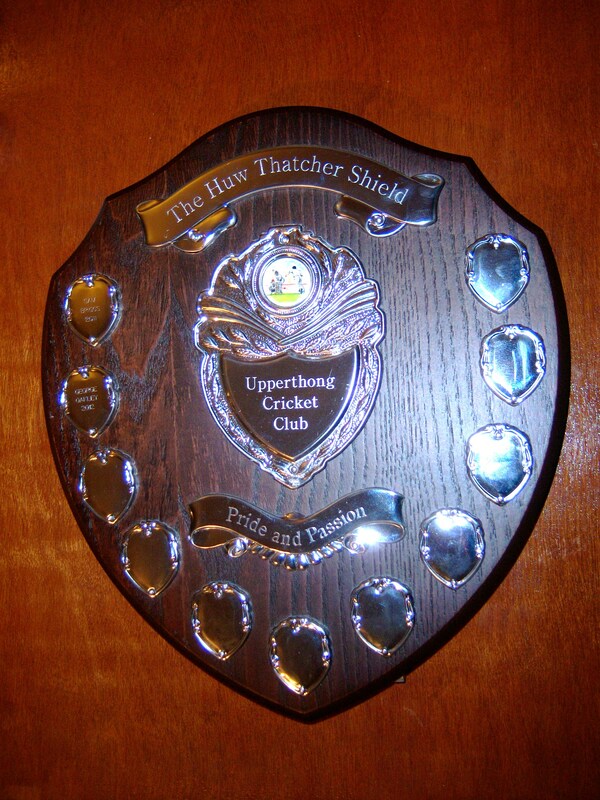 The Huw Thatcher Pride and Passion Shield is presented every year to the 15 year old age group at Upperthong Cricket Club. Huw was aged 15 and led his life, played his sport and played cricket with pride and passion. 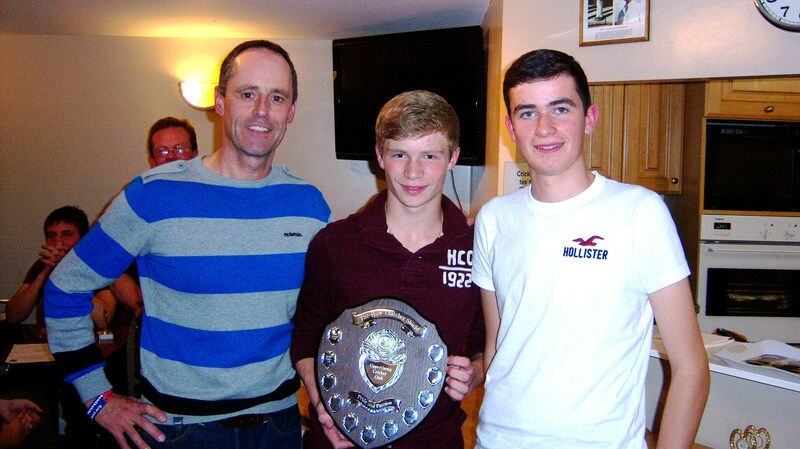 Sam Briggs (who was awarded the shield in 2011) and I were delighted to present the shield to George on Friday 5th October. 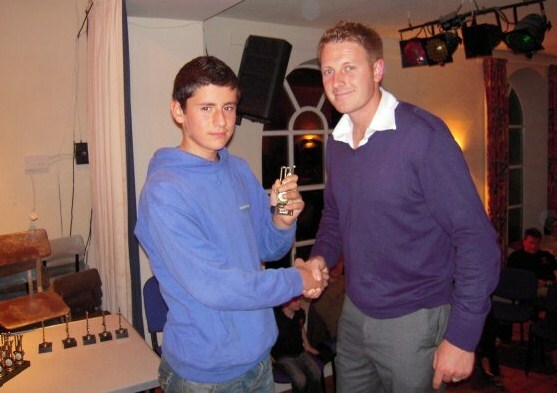 George is a wonderful young cricketer, and captain of his side that won the league and cup this year. However, George wasn’t awarded with the shield necesarilly for those achievements but for the manner in which he captained the side. He has grown as a captain and ensured that every member of the squad contributed to a wonderful season. He is a supportive and committed leader of his young team. George is a worthy winner of the award, just as Sam was last year. It is an added bonus that George has taken part in various Huw Thatcher events including the cricket club cycle challenge – and he had a major hand in organising the Huw Thatcher 5 a side football tournament this year. I have therefore had the pleasure of getting to know George more over the last year and he was friends with Huw and is a friend of Carys. Well done George. This is an important award that represents everything that is good about local sport along with the happy times Huw had at Upperthong throughout his life. It is a lovey, lasting way to remember Huw who was a very popular member of the cricket club and developing into a fine batsman.